Border Patrol Agents Hector Clark and Eduardo Rojas were killed when their vehicle was struck by a train near Gila Bend, Arizona. The agents were assisting other agents track a group of illegal immigrants and were attempting to position their vehicle north of the group when it was struck by a 90-car freight train at the Paloma Road crossing. The vehicle was dragged a quarter mile by the train. Agent Clark had served with the United States Border Patrol for 10 years. He is survived by his wife and two children. 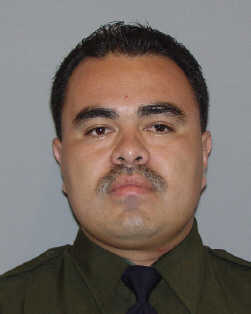 Border Patrol Agent Eduardo Rojas, Jr.